New Orleans is one of America’s most unusual and interesting cities. Some of its residents go about their lives just as everyone else does, but there is one startling difference – they are practitioners of the Dark Arts. These people have extraordinary powers. They can cast spells, hex their enemies, compel others to do their bidding and even kill those whom they wish to harm. Many of the city’s founders came from Haiti. One brought an ancient relic – a mystical object called the Black Cross that once belonged to Christopher Columbus. There were rumors it was a voodoo artifact, one that could prolong life for centuries. That cross disappeared hundreds of years ago. Brian Sadler hears an intriguing story from an old friend in New Orleans – a tale that could reveal the whereabouts of the cross. His friend enlists Brian to go to Haiti and Guatemala, where he encounters two Americans – an old man and a child – who are conducting a seminar on rejuvenation. Hidden in a cavern, Brian watches a secret ceremony and learns a shocking truth. Desperate people will risk anything to possess the ancient relic and access its powers. Brian soon discovers that neither friends nor enemies are what they seem. 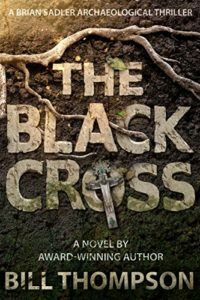 His search for the fabled Black Cross of Columbus becomes a race to save his own life in the shadowy world of voodoo.